It’s just one small paragraph, tucked way at the back of an old book of federal statutes in which The Legal Genealogist was poking around. Now that is just too juicy a morsel to pass up. So what’s the rest of this story, and who was E. K. Kane? The answers should be part of the family history of anyone even remotely associated with this adventure. Much of the effort to find the Franklin expedition was spurred by Lady Jane Franklin, wife of the captain, who personally wrote to President Millard Fillmore in 1852, asking for American help. That appeal did not pass in vain. Though weakened by rheumatic fever as a youth, he was educated as a physician at the University of Pennsylvania and, in July 1843, was appointed an Assistant Surgeon in the United States Navy. In 1844, prior to taking up his duties, Kane sailed to China as part of a U.S. diplomatic mission. His later Navy assignments involved cruises off Africa, in the Mediterranean Sea and off South America. In 1847 he undertook a daring courier mission to Mexico City, travelling through hostile territory, and surviving severe battle wounds. So many lives intertwined with Kane’s… his own family, the men he served with, the men who volunteered to go to his rescue, the members of Congress and Navy officials who made it possible… and this tale belongs to them all. Image: U.S. Naval History and Heritage Command Photograph (“Engraved portrait after a painting by Alonzo Chappel, published in “National Portrait Gallery of Eminent Americans”. 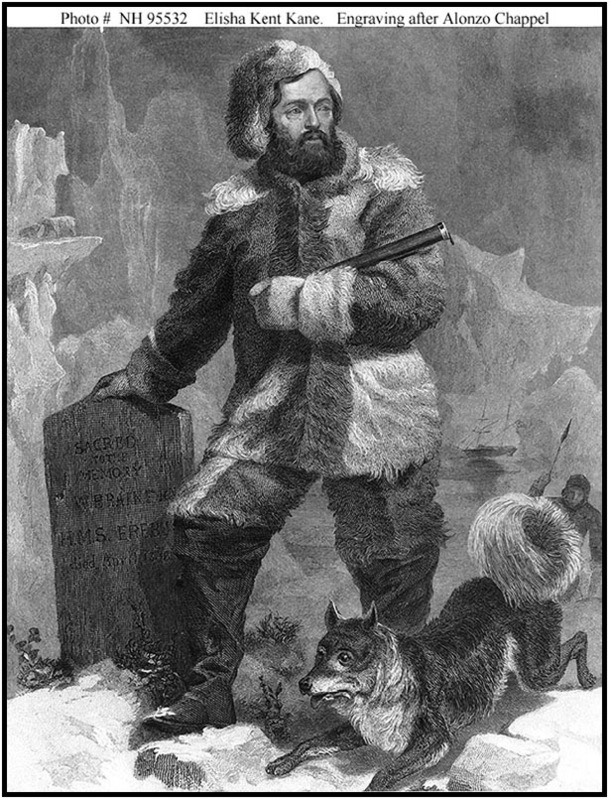 It depicts Kane during his 1850s missions to the Arctic to search for possible survivors of the Franklin expedition”). Now see, who else would be digging in the back of statute books, but you, Judy!!? Thanks for another wonderful story of law, adventure, challenges, and genealogy! Cheers.